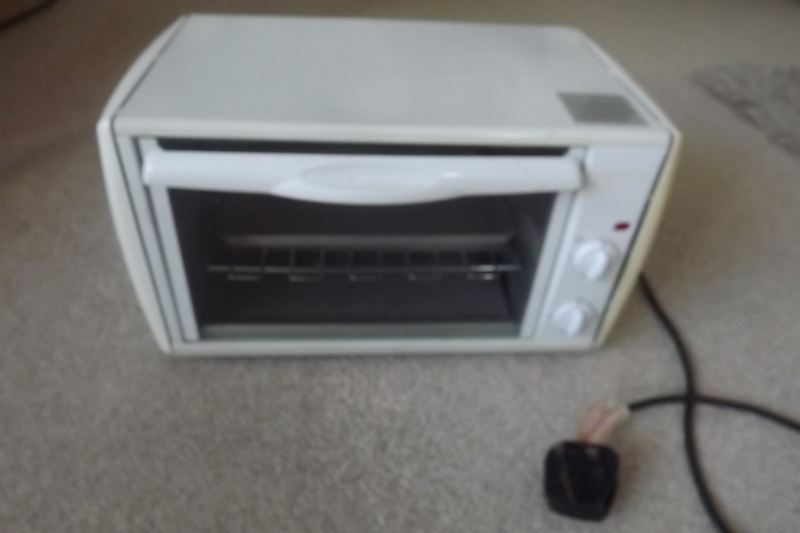 Give and get stuff for free with Bognor Freegle. Offer things you don't need, and ask for things you'd like. Don't just recycle - reuse with Freegle! Hi just looking for any pallets for a garden project please. 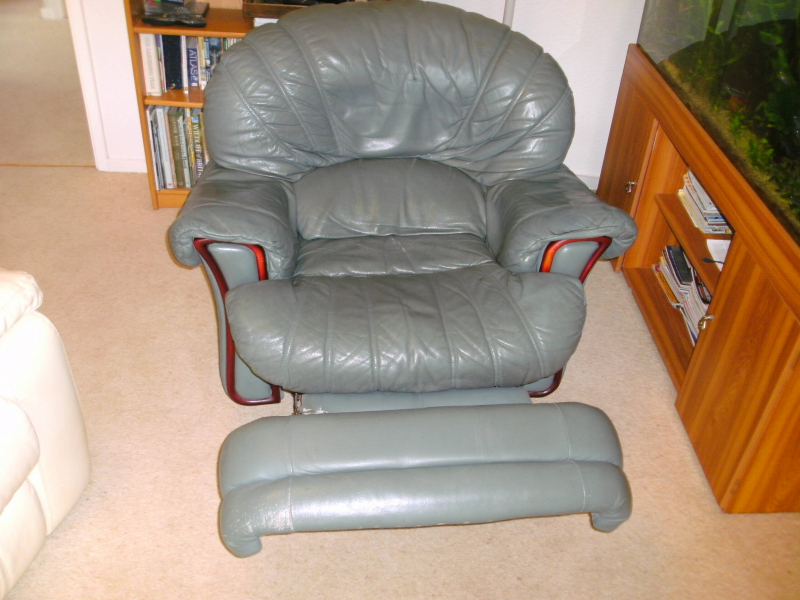 Blue Green leather Swivel, Rocker, Recliner chair (1st 2 photos), well used but in fair condition. Also matching non-reclining chair in fair condition. These 2 chairs will have to go after next Sunday and before Tuesday 23rd April. Chairs must be collected by suitable van, etc You are welcome to view them this week. 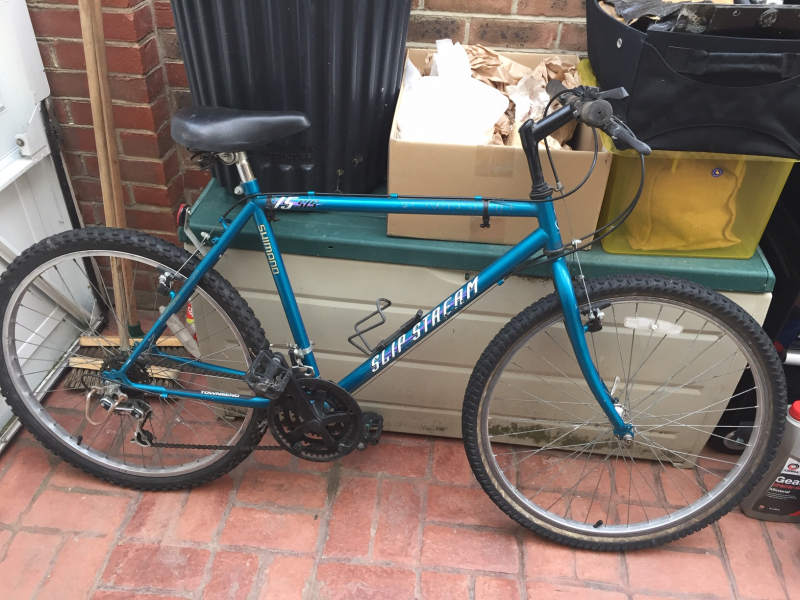 Good condition, but will probably need a couple of inner tubes. 5 gears. 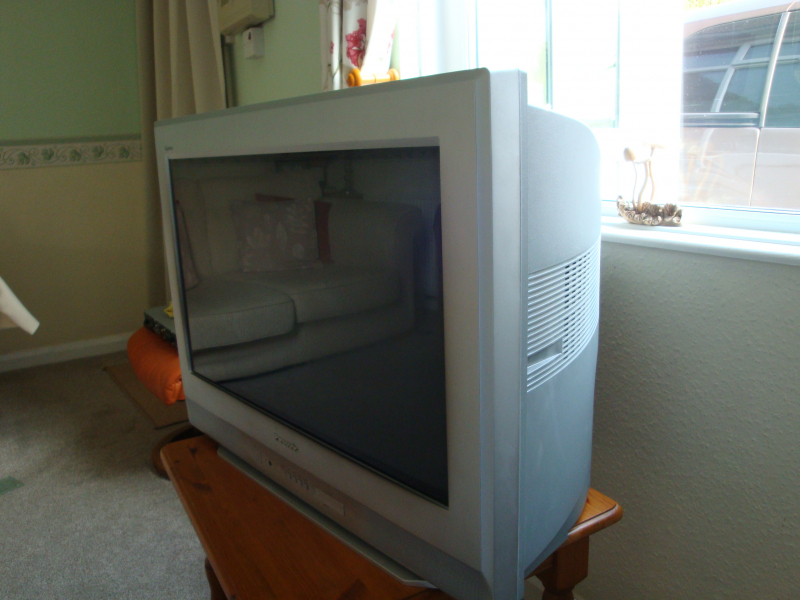 Panasonic television in working order. Dimensions H487mmxW698mmxD529mm weight 35.5kg. Collect from Barnham. 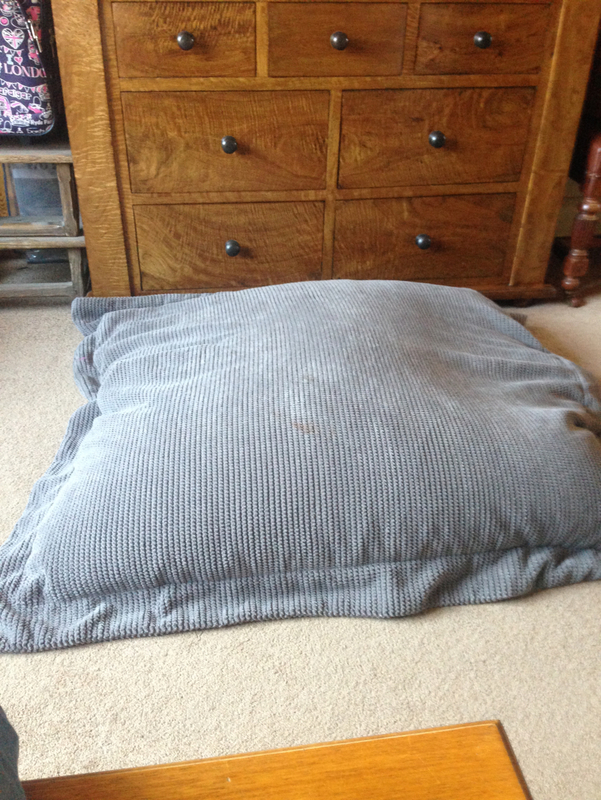 Large square grey bean bag. Approx 1 metre by 1 metre looking for a new home. 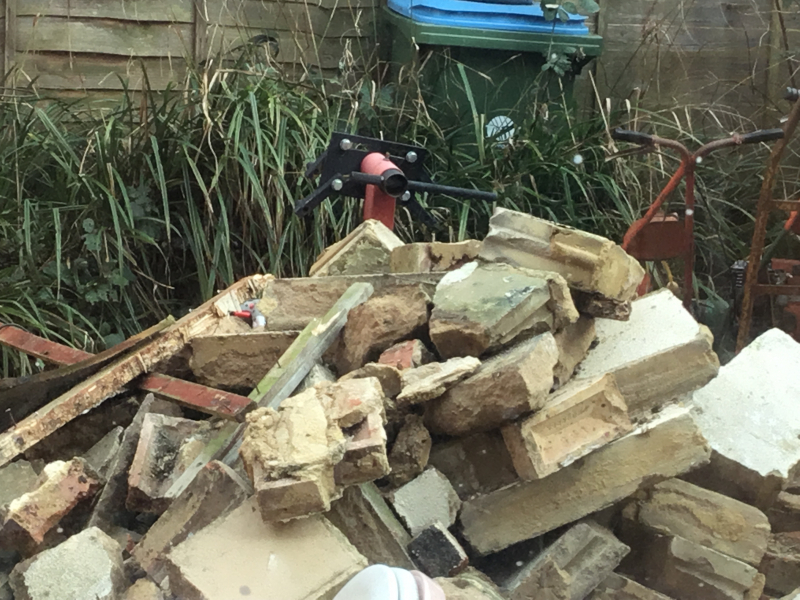 We’ve taken a wall down. Wick area of Littlehampton. Available from 1st April to 3rd April. 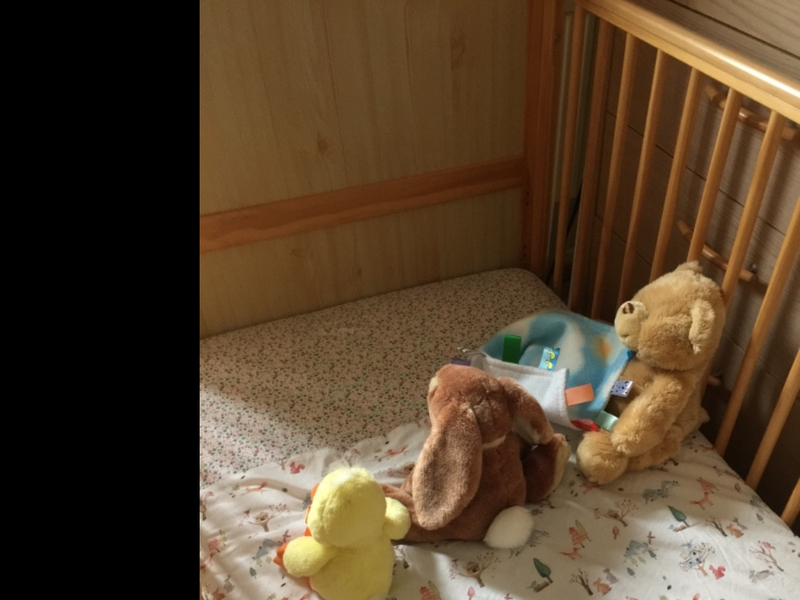 Wooden Mothercare cot bed in good used condition. Has been used at Grandparents house. No mattress. All fixings complete and instruction manual. Hi Our Fishy will soon be outgrowing the small starter tank so in need of a minimum 4ft wide tank please. Can collect thanks. Graham, Bognor Regis. 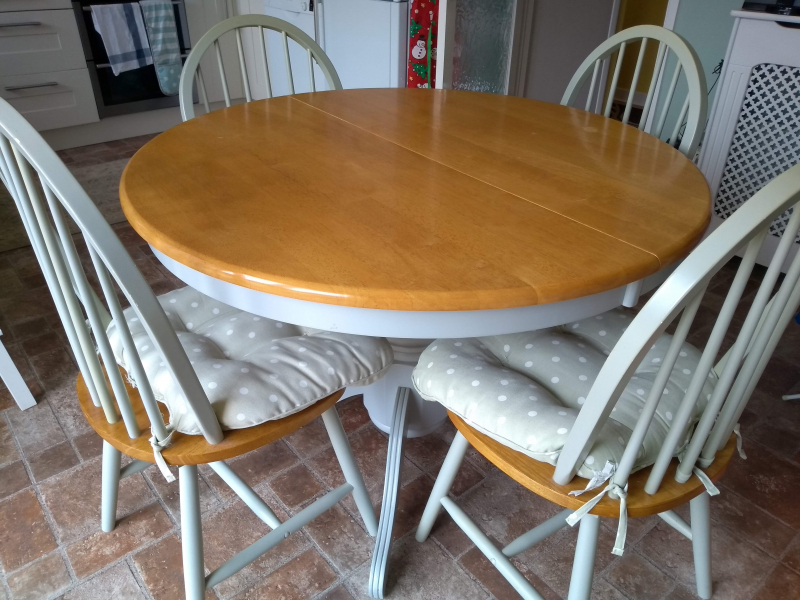 Cottage style light wood 106 cm extending table with green pedestal leg and 6 chairs with green spotted cushions. Some marks on the table and discolouration on the backs of the chairs. 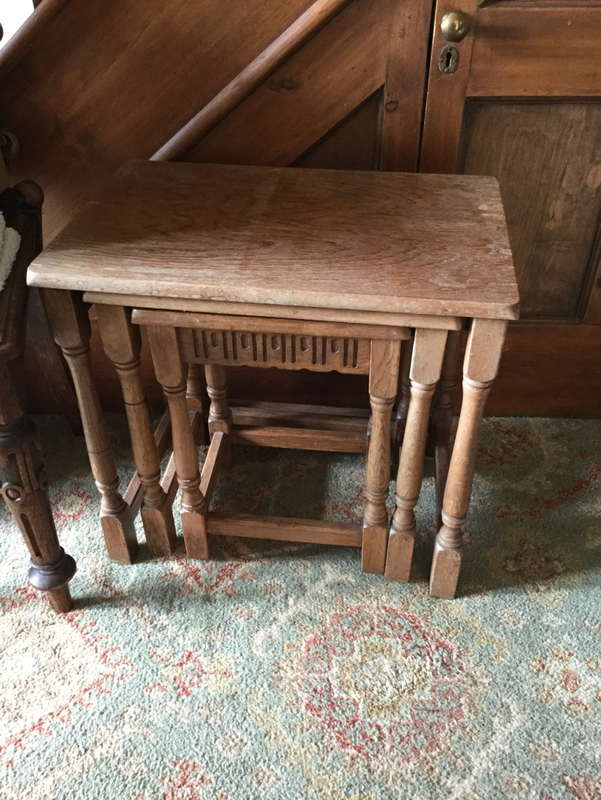 Attractive nest of three wooden tables. The tops are wood veneer which you can see is a bit damaged with wear. Maybe a good project for someone. Collect from Bognor Regis near football ground. Tall White Fridge freezer. 167 cm Height x 60 width x 55 depth. Couple of small dents on front. All working, freezer perfect, fridge, sometimes gets frosty or drippy ( supposed to be frost free) but only giving it away as we now have integrated appliances in new kitchen. Hello, anyone have an old car battery they need to throw out please. tapered terminal type. Thank you. Steve. I think someone was looking for crepe bandages for guides etc to practice first aid with... let me know if you still need some. I have a pot of mostly unused plastic curtain hooks. Let me know when you can collect. This is a very solidly made three piece cane suite, from Indonesia. The cushions, however, died a while ago in the sun! A handy person could easily make some more, I’m sure. Size: Sofa 51inches wide and 30 ins deep. Chairs 30 ins high and 30 ins across. Collect Felpham by arrangement. 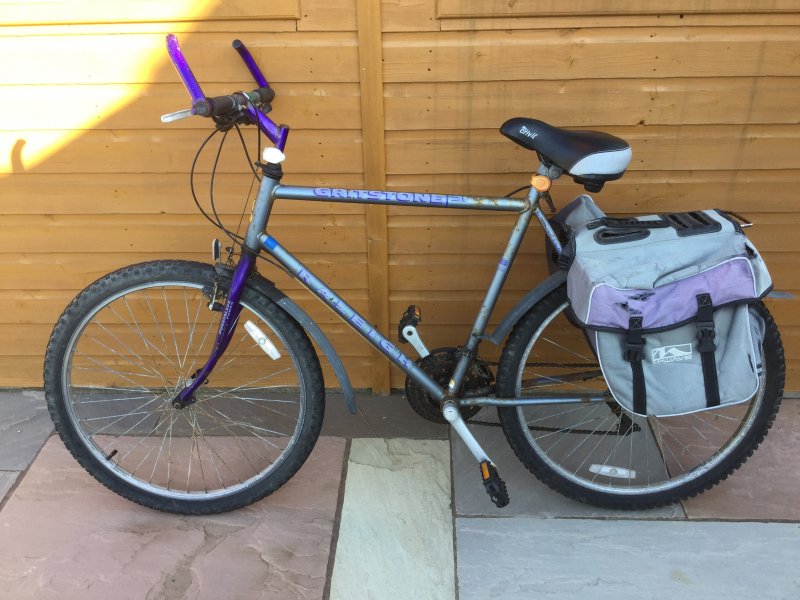 Raleigh gritstone. Gents. Quite rusty but still usable. Gears. 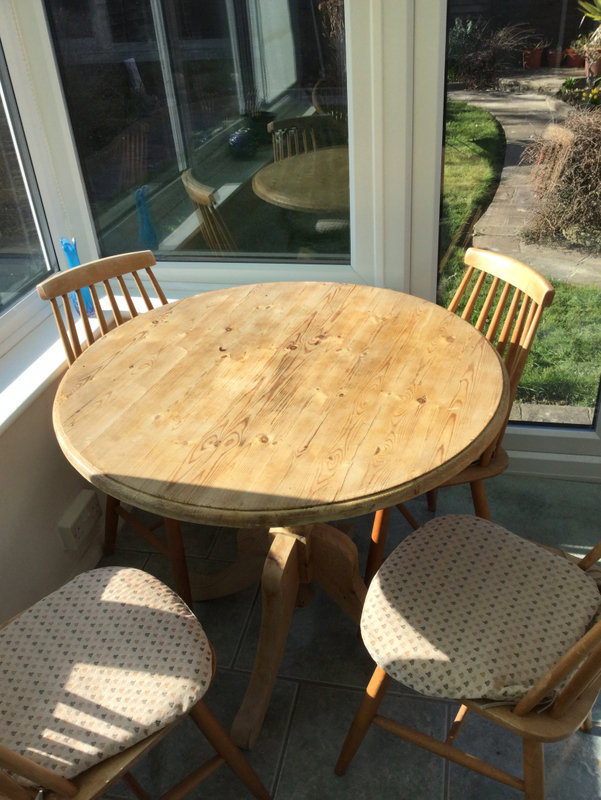 This is quite an old pedestal circular pine table with four wooden chairs. 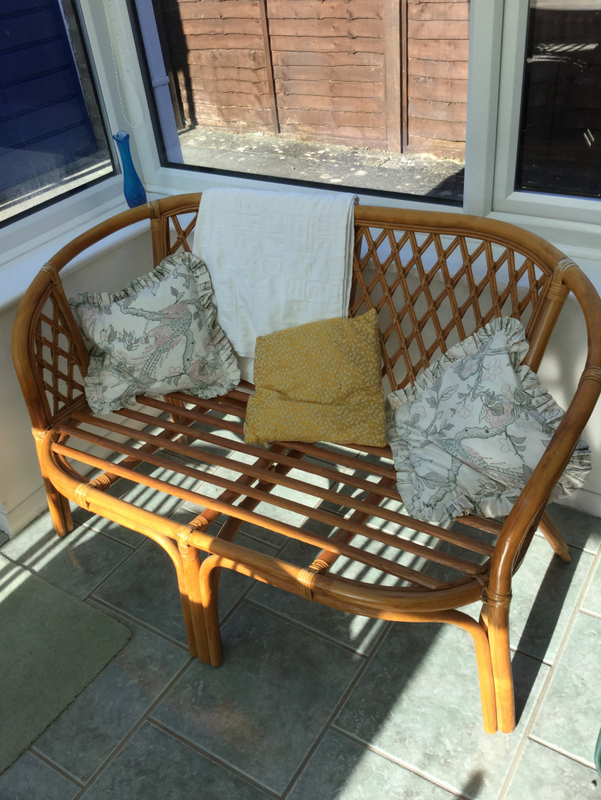 Has been living in a conservatory for a few years so needs a bit of tlc to bring it back to life. Diameter 86 cms. Height 29 cms. Chairs 80 cms high. Collection by Thursday in Felpham. 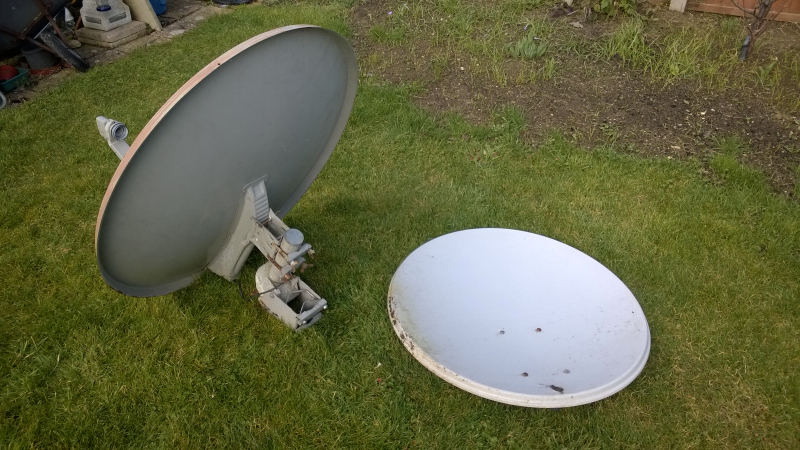 Two satellite dishes - one is 96cm x 86cm, other is 82cm x 72cm. There is a motor on the larger one, but not sure of it's operation. Just taking up space. Don't know whether they are any use to anyone...collection from North Bersted only..
A blue Chelsea FC Beanie Hat, matching flannel and bar top mat, all featuring the Chelsea FC logo. Hat is a child's size. 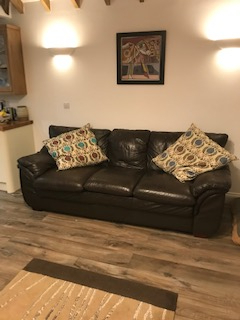 Chocolate brown 3 seater sofa. Contemporary design. A few scuffs but generally in very good condition. Very comfortable and big enough to sleep on. Not including the scatter cushions in the pic.